With Moringa’s Finest we strive to make the Moringa better known, actually recognition. A vegetable food that can help animals and animals to get fed and healthy without animal suffering. Proteins, minerals, vitamins, amino acids, antioxidants, bioflavonoids etc. everything is in it and in huge quantities. For Western people, it is a nice addition in our daily food which is often too poor and unilateral due to mass production. By offering Moringa as a fresh product, we are still unique in Europe for the time being, even the little picking trees are nowhere near as attractive and cheap. What we can not make ourselves is imported from a farm in India that makes the leaf powder and oil with organic cultivation. Moringa’s Finest has refined the process of cultivation, harvesting, and drying so our own production of leaf powder and tea has a quality and fine taste. has no competition, we will continue to expand this so that we can deliver this unique product from our own soil all year round. We are a young and dynamic company that will offer a lot in the future. Take a good look around, be objective, hopefully you will return to Moringa’s Finest over and over again. Besides moringa we will also supply other beneficial plants and herbs, keep an eye on our website and other media. Moringa’s Finest guarantees personal, fast service and customer-oriented advice. Everyone who reads this is first of all thanked for your support, and we hope to see you as a returning satisfied customer. When I first came across information about Moringa, my interest was awakened immediately, and I started using it myself. My energy levels soared and I felt more vibrant and healthy than I ever did my whole life. It felt so good I put aside all the other nutritional supplements and until this day, I only feel the need to use Moringa as a nutritional supplement. On various websites, I saw some information about self-cultivation of Moringa, but I didn’t come across any real success stories. This sparked my interest because growing plants is in my blood. 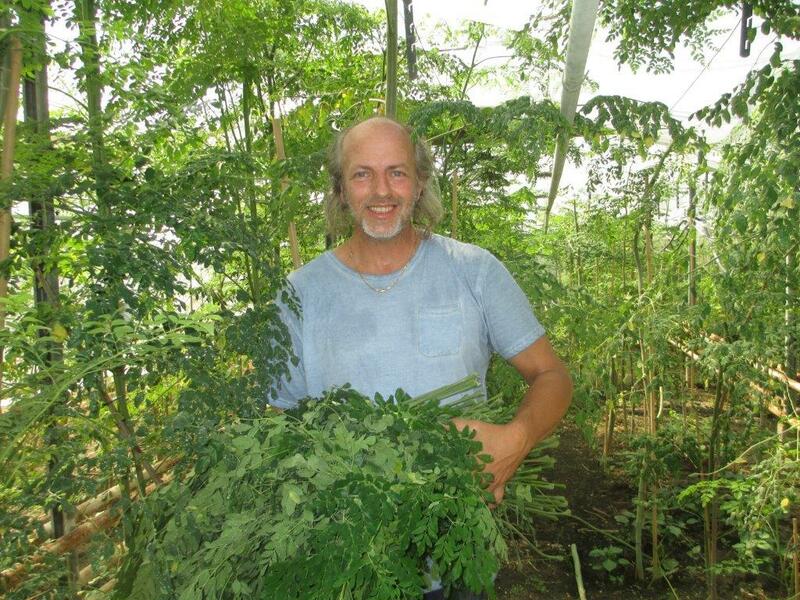 After some experimentation, I managed to grow and cultivate a large number of Moringa trees in the spring of 2014. This was the birth of Moringa’s Finest! Our goal is to bring awareness of Moringa, especially for the general public. We offer a unique combination of healthy trees, a fresh supply of leaves and other organic Moringa products at an affordable price. I am very excited about the future of Moringa, the effect that it could have on society as a whole, and I set myself in for wholeheartedly!